Here are some of our favorite ways to keep kids busy while also letting them have fun. Grab a paintbrush (paint rollers work great, too) and a bucket filled with water. Let your kids paint the fence, deck, side of your home or the sidewalk. The water darkens the color of most materials before it disappears in the summer heat. Put some toys into a container, fill it with water and freeze. Place your frozen creation outside with some tools (squirt bottles, spoons, toy hammer, cup of salt, bucket of water, etc.) and let your child work at melting and chipping the ice away to get to the toys. 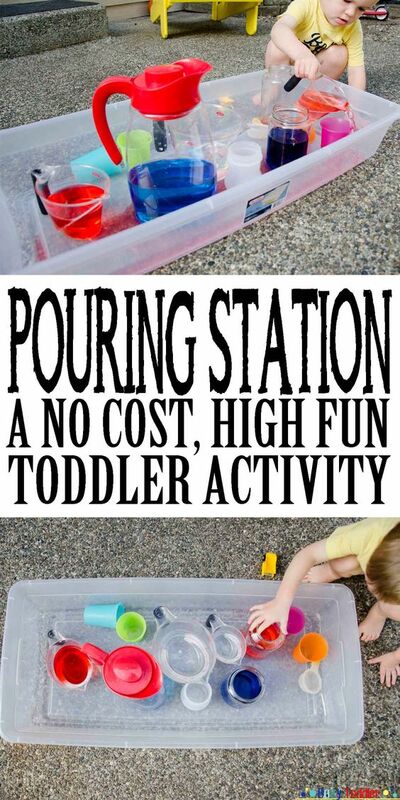 Make a pouring station using a variety of kitchen items, along with a plastic bin, food coloring (optional) and water. Fill a couple containers halfway with colored water and encourage your child to explore making measurements and mixing different colors together. Buy a package of Solo cups and get ready for your child to have a blast playing with them. 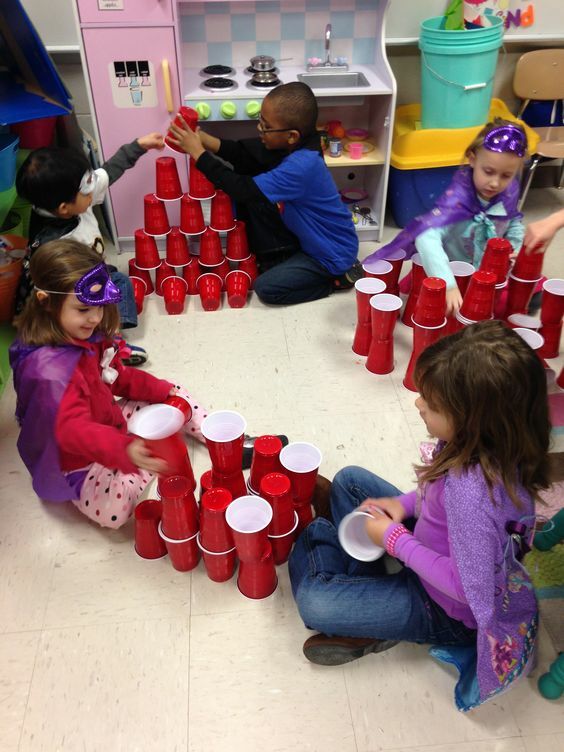 These cups are perfect for stacking and constructing different structures. Kids can work independently or together to build towers, pyramids, forts and more. Who doesn’t have grand memories of playing in a large cardboard box?! Let’s bring that simplicity back. Ask your neighbors, family and friends for large cardboard boxes. Have one end open so your child can safely exit. Give him/her some crayons, markers and stickers to decorate the inside. Can’t find a large box? No problem, just open and flatten a smaller sized box. The end of the school year can bring mixed feelings for parents. There are feelings of pride as parents reflect on the progress their child made during the school year. Anxious feelings can also creep in when parents start thinking about their child’s transition to summertime, which brings with it a change in routine and behavior. Some children need to be prepared for changes in their daily schedule. You can help your child understand the upcoming changes that summer break brings by providing social stories, schedules and verbal scripts. Social Stories: These special stories, created by Carol Gray, describe a situation from the child’s point of view and in the child’s own words. The stories can describe appropriate ways to behave, communicate, handle sensory needs, etc. It doesn’t need to be in a book format - one-page social stories are okay, too. Visual supports, in the form of photographs and cartoon graphics, are typically included. You can purchase professionally-made social stories or create your own on the spot by writing down a script and drawing pictures with your child. Refer to these downloadable summertime social stories, Summer Vacation and What to Expect on Summer Break, to use as is or as examples to help guide you through your own creation. Schedules, Choice Boards and Calendars: Most adults refer to personal calendars and written to-do lists to organize their life. Similarly, picture schedules, choice boards and calendars serve as visual tools to help children understand the structure of their day. Incorporating the use of these visual tools (not to be confused with PECS) can help boost understanding, which often leads to a decrease in anxiety and undesirable behaviors. Schedules can help children understand the activities they will participate in during a particular timeframe. You can make a schedule by writing down a list of activities or, even better, putting together a set of pictures representing the activities and displaying them vertically (or horizontally) in order of completion. Show your child the top (or left) picture and say “Time for ___.” When the activity is completed, help your child place the picture in an ‘all done’ envelope or container. Then, show your child the next picture card. 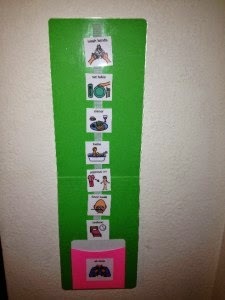 If your child doesn’t recognize picture cards, read about how to make and use an object schedule. Choice Boards can help a child choose an appropriate activityto participate in. You can help by placing a few appropriate pictures of activities in front of your child and let him/her pick what activity he/she would like to do. Calendars can also be highly effective. Older children may start to rely on weekly or monthly calendars. The Choiceworks Calendar app (only $4.99) effectively incorporates the use of pictures to help children better anticipate and understand what they will be expected to do in a given day, week or month. Scripts: This is one of the easiest ways to provide instant support for your child. What are scripts? Simply put, it’s modeling or saying what you want your child to say. You can use scripts to teach social skills or simply provide appropriate language for a particular situation. 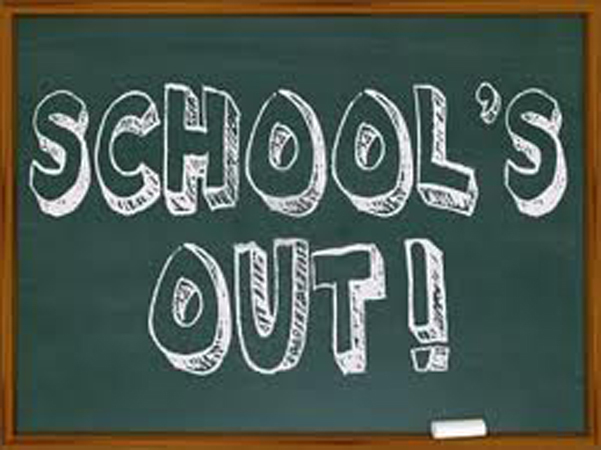 Help your child prepare for the transition into summer break by providing scripts about school ending (e.g. “I have 4 days of school left” and “I will have fun on summer break”). I also like using scripts to help a child remember appropriate ways to behave (e.g. “I share with my brother”). Cause and effect toys are great for teaching important developmental skills. Our special needs and autism expert details below some easy ways to focus on building these skills. Not sure what cause and effect toys are worth purchasing? Our expert lists 12 such toys that she loves and highly recommends! Important early concepts can be embedded into play. We’ve listed a few of these below that you can work on at home with your child. We recommend that you say the word WHILE you perform the action that the word represents. Then, give your child a chance to perform the action. For example, say “put in” while you put a coin into the toy cash register drawer. Then, hand the coin to your child to prompt him / her to do the same. When playing with cause and effect toys, help reinforce beginning language development by using picture cards and simultaneously saying the word represented in the picture. Make sure to allow your child to point to the picture cards to communicate what to do. We’ve listed below some popular words and phrases to incorporate into play time. Click here for a free, downloadable set of picture cards that correspond with these words. Imitation: You can say “do this” and then perform an action with the toy (e.g. “bang the drum”) that you want your child to imitate. Turn Taking / Back and Forth Play: Use the toys to encourage your child to take turns with you (e.g. adult pushes car to child, child pushes car to adult). Read more about how to effectively teach turn taking here. Color Matching: Practice matching like colors together. Color Identification: Point to a color and ask your child to verbally state the name of that color. If your child is non-verbal, say a color and then ask your child to find and point to that specific color. Counting: Practice counting both forwards and backwards with your child. Counting Using One-to-One Correspondence: Practice counting a set of objects rather than just reciting a number sequence. Also help your child count the number of objects and then ask him / her to state the total amount. Number Recognition: Point to a number and then ask your child to verbally state the name of the number. If your child is non-verbal, say a number and then ask your child to find and point to that specific number. FINALLY, here are our top 12 cause and effect toy picks that we love to use while focusing on the skills highlighted above. Gift giving can be difficult, especially for a child with autism or other developmental delays. You want to find a fun, exciting gift that grabs a child's attention, but also helps the child build important skills. We've got you covered! Here are our top 5 picks, all hand-selected by our Applied Behavior Analysis (ABA) Clinician and Autism Consultant. #1 TOMY’s Pop-up Pirate Game ($13+) This is one of our favorite games! Children can practice identifying colors, turn–taking, waiting, direction-following and hand-eye coordination while playing Pop-Up Pirate. You can provide extra visual support by giving each player a paper plate or bowl to store their swords while waiting for their turn. Write a list of the players’ names on a piece of paper to help explain the turn-taking order. Promote language by prompting your child to say, “my turn” and “your turn.” Stores that sell the Pop-Up Pirate Game include Amazon. Note: Only the Super Pop-up Pirate game is available online at Tomy. Pop-Up Olaf and other characters are also available. 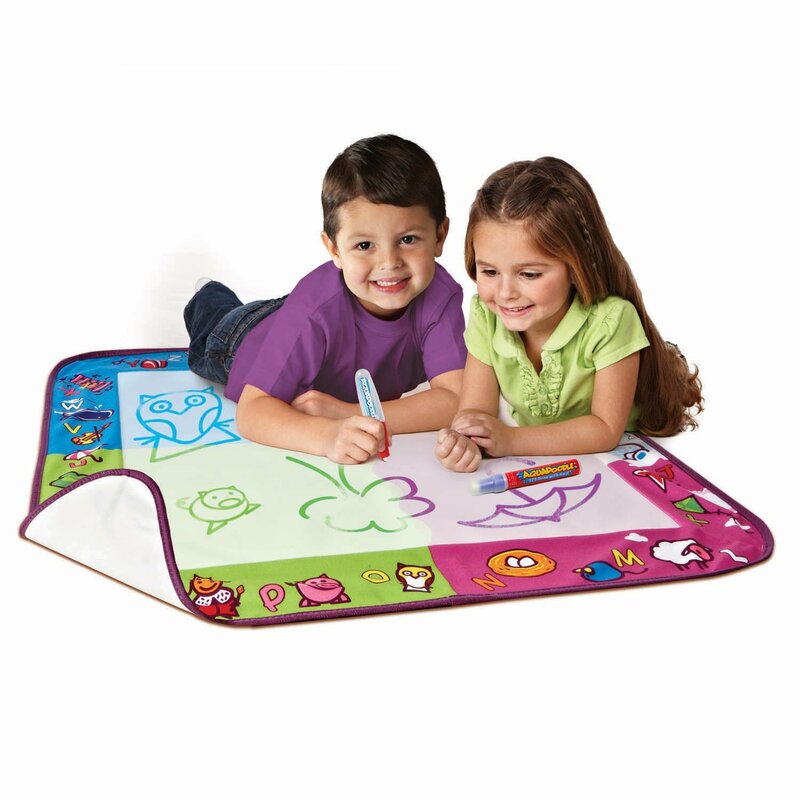 #2 Aquadoodle’s Classic Mat ($6-$50) This toy does wonders to promote your child’s creativity and pre-writing skills - without all the mess. Just add water to the tools provided and begin drawing right on the mat. The drawings disappear as the water dries. Aquadoodle offers a variety of sizes now, including Doodle Wall Mat, Travel Doodle and Doodle Buddies. Learn more about Aquadoodle here. Stores that sell AquaDoodle include: Walmart, Target and Amazon. #3 Fat Brain Toys’ Teeter Poppers (~$37) This unique instrument encourages body awareness and balancing skills. 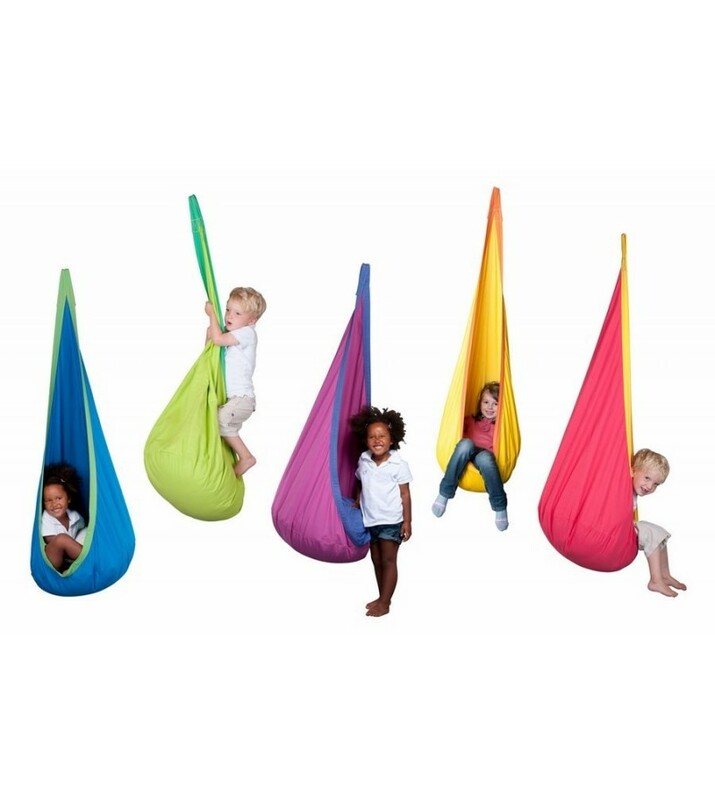 Kids can sit, kneel or stand on the Teeter Popper. 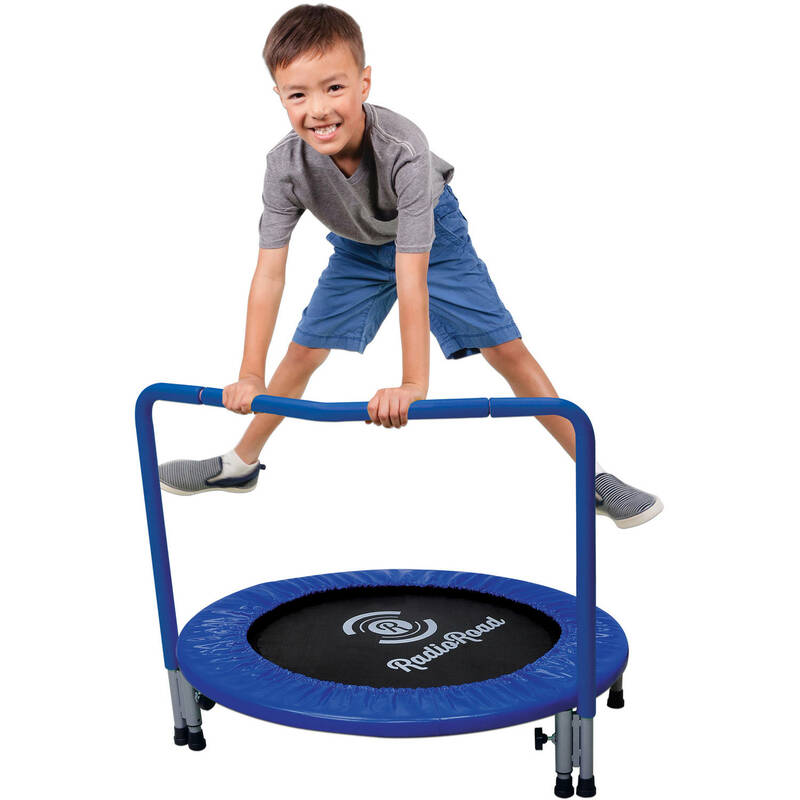 The vestibular movement that a child receives while using this toy helps regulate his/her sensory system and can improve his/her core strength. The suction cups on the bottom provide auditory input as they stick to and then pop off the floor. Learn more about Teeter Popper here. 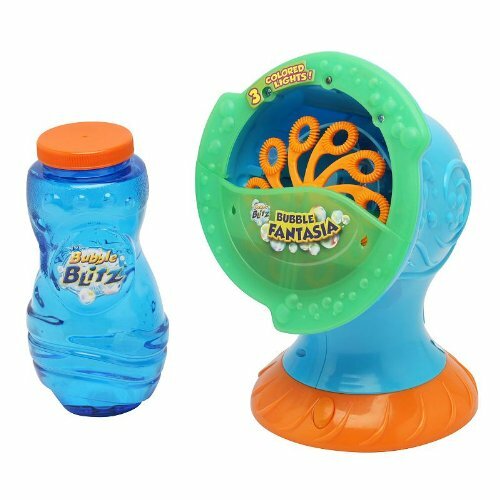 Stores that sell Teeter Poppers include: Fat Brain Toys, Amazon and Hearth Song. Note: This toy does require a non-porous hard surface to work correctly. #4 Full Activity Box ($74.95) This subscription box serves as a perfect gift for you and your child. We provide all that is needed for you to explore a popular children's theme (e.g. Shape Train, Let's Make a Snowman, Dinosaur Dig, Silly Monsters) through 6 hands-on, interactive activities that also help build important, foundational skills. With lots of visual support to accompany each activity, you and your child will engage in sensory play, create art, play with cool sensory fidget toys and read interactive stories and thematic rhymes. Choose our Sibling Add-On Option to receive extra materials to help promote positive relationships between siblings or during play dates. This is a purchase you can feel good about! EarlyVention provides vocational opportunities to under- and unemployed adults with autism and special needs who help assemble our boxes. Purchase the Full Activity Subscription Box here. #5 Magna-Tiles ($50-$199) Kids love these magnetic tiles just as much as teachers do. The tiles easily connect together to create simple towers or complex, multi-level structures. Add vehicles, animal figurines or people figurines to teach pretend play schemes. This toy helps your child explore basic shapes, as well as 3D shapes. If possible, we suggest spending the extra money to purchase the 100 Piece Set. This larger set will welcome children to play together and assist with the creation of larger, more complex structures. Learn more about Magna-Tiles here. Stores that sell Magna-Tiles include: Magna-Tiles, Lakeshore Learning, Target and Amazon. Halloween can be scary. Not just because of the ghost and witch decorations lurking around every corner, but because children with different abilities can become very sensitive and on edge. Some children need extra time to explore and get ready for Halloween. Other children become so fixated on Halloween that they get upset when it’s time to switch holiday decorations. A simple DIY countdown can be used to both help prepare a child for Halloween and help a child move on after Halloween is all over. Write the number of days left for celebrating Halloween on Post-it notes and stick them onto a sheet of paper. Tape it up on a wall or post it to the fridge with magnets. In the morning, show your child the number on the Post-it and explain, "4 more days then Halloween is all done." At nighttime, have your child remove, crumble and throw away that number and prepare to continue the count down the following morning. A lot of children are concrete thinkers and can get worked up from how we phrase things. This Halloween season, remember to stay away from literal phrases, sarcasm, metaphors and idioms. Instead, use concrete language or, at the very least, explain the meaning of the phrase you said. Choosing the right Halloween costume can make a big difference in your child’s Halloween experience. When thinking about a costume for your child, it is very important to take into account his/her sensory needs. Costumes can be awkwardly fitting, itchy, bulky, tight, smelly and overall uncomfortable to wear. 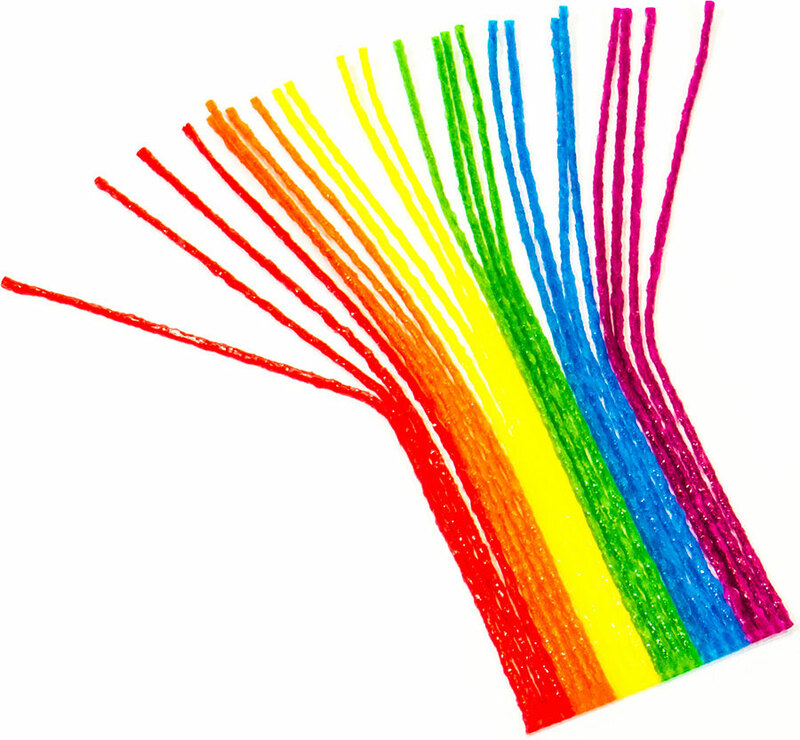 These sensations can be magnified if your child has an overactive sensory system. You can create many costumes using everyday t-shirts, skirts, pants and pajamas. Take advantage of chain clothing stores that sell t-shirts with popular characters/character logos already printed on them! Does your child have a favorite item of clothing? Maybe incorporate the item into a costume. Remember, it’s all about comfort so don’t worry about face paint, masks or hats. Need some easy costume ideas? Here you go: Soccer, Basketball or Baseball Player; Train Conductor; Superheroes; Mario or Luigi; Toy Story’s Jessie or Woody; Lumberjack; Princess; Charlie Brown; Security Guard or Bodyguard; Sleepy Child (PJs and favorite stuffed animal); Pete the Cat; and a Doctor or Nurse. If your child is sensitive to certain environmental sounds and benefits from wearing noise cancelling headphones, incorporate them into a costume! Create a costume of an Olympic Athlete preparing for a race with a USA shirt, warm-up clothes and headphones. Get wild with funky clothes, crazy hair and headphones to turn your child into a Disc Jockey. Select a white t-shirt, flannel, jeans and headphones to transform into a Construction Worker. Find a blue jacket or button down shirt, blue pants, gold airline pins and headphones for an Airline Pilot costume. Does deep pressure help regulate your child’s body? Morphsuits and wetsuits can provide the same helpful pressure. Add a towel, sunglasses, bodyboard and/or shark toy to a wetsuit and you’ve just put together a cool AND accommodating Surfer costume. Costumes that are purchased may give off an unfamiliar scent that can irritate some children. Wash the clothing your child will wear in your typical soap/softeners a couple times before Halloween. This will remove any undesired fragrances and provide a familiar scent to keep your child at ease. 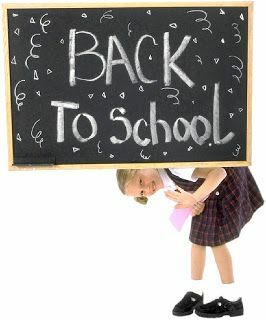 It feels like we just prepared children for summer vacation, and now school is about to begin! Here are some ideas on how to help prepare your child for the upcoming changes in routine and get him/her excited about the new school year. Take a field trip to school to practice the upcoming transition. Make sure you keep telling your child, "we’re practicing going to school" so your child doesn’t anticipate going into the building. Show your child where he/she will wait for his/her teacher. Again, say, "Let’s practice waiting." Then practice saying goodbye and how you will greet them at pick-up time. Practice makes perfect or, at the very least, helps decrease anxiety. Bonus Idea: Take chalk with you and mark an 'X' on the cement to provide a visual for where you want your child to stand while waiting to enter the school building. Create a send-off routine. Some parents choose to give their child a high-five when it’s time to go while others prefer to give a hug and kiss. A parent of a child with significant sensory aversions chose to kiss her son’s hand every morning. Whatever you choose, it is very important to remember to say, “I love you. I will see you after school” to your child. 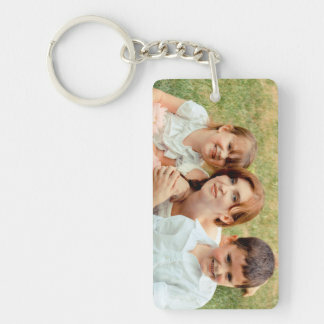 Buy a photo frame key chain and insert a photo of your child with the family. You can attach the key chain to your child’s backpack zipper and remind him/her to look at the photo to remember he/she is loved. Create a photo book about your child going back to school. Print out EarlyVention’s downloadable “School Time” social story and then include photos of your child’s backpack, school building, teachers, etc. Staple the pages together and read it at least once a day before your child starts school. When school kicks off, ask the teacher for photos of your child’s therapist, aides and classmates to include in the provided story pages. Take time to review your child’s IEP document before school starts. Here is a helpful video on IEPs by a parent advocate. Look at his/her goals and objectives. Are they still meaningful and achievable goals? Review how many minutes of therapy your child will receive, as well as the location for therapy (e.g. will it take place in the classroom, a resource room, the hallway, are the therapy minutes split into more than one location?). Does your child have a behavior plan? Do you understand it? If you don’t know the answers to any of these questions, schedule a time to meet with your child’s teacher or case manager. To be the best advocate for your child, you must understand his/her IEP – this document will greatly impact your child’s daily school life. Looking to further understand your IEP rights as a parent of a child with special needs? Check out this article. April is Autism Awareness Month. Through education and awareness of this neurological disorder, understanding, tolerance and acceptance can emerge. Here are some easy and fun ways to support the effort to spread autism awareness throughout the month of April. Read Books about Autism: Here are a few of our favorites and why we think they’re great reads. As part of an initiative to educate families and children about autism, Sesame Street introduced a new Muppet, Julia, who has autism. 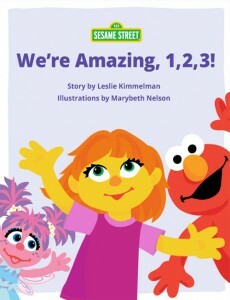 To further this initiative, they’ve put together an online story, We’re Amazing 1, 2, 3! In the story, Elmo explains to his friend Abby why Julia doesn’t answer or look at Abby and why Julia covers her ears. 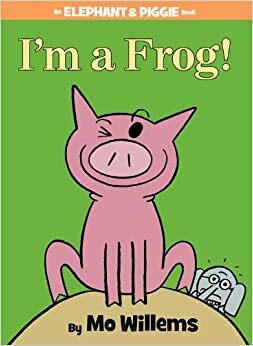 This is a wonderful story to share with young children. My Brother Charlie is written by Holly Robinson Peete and her daughter (and Charlie’s twin), Ryan Elizabeth Peete. Ryan does a great job of explaining the similarities and differences between her twin brother with autism and herself. This book is especially good to read with siblings impacted by autism or to students in Elementary School. Rules by Cynthia Lord is about a girl that just wants to have a normal life, which feels impossible since her family includes a brother with autism. She attempts to teach her brother the “rules” of life so he can fit in, but she ends up learning more about life through her brother than she ever could have imagined. This book is written for children ages 8 and up. It is a great, quick afternoon read for adults, too! Share Your Knowledge about Autism: As a parent, therapist or educator impacted by autism, tell your story to others to help them better understand this disorder and boost awareness in the community. Post autism facts and stories on social media. Share your new favorite resource or quote about autism with colleagues and friends via email. Wear Autism Awareness Items: Put on a puzzle piece pin or wear blue on Wor ld Autism Awareness Day, April 2nd, and throughout the month of April to help “shine a light on Autism.” Share your support by posting a selfie or message on social media and include hashtags like #LIUB or #autismawarenessmonth. Watch an Autism-Themed TV Show on PBS Kids: Sesame Street, Arthur & Dinosaur Train will all feature autism-themed episodes this April for Autism Awareness Month! Check out this preview for more information. Walk for Autism: Create or join a team for the Walk for Autism 2017 on May 13th at Soldier Field (and around the country) to help raise funds and awareness. Or donate to an established team - tax deduction forms are available to further support your donation.